The FINANCIAL -- The euro area seasonally-adjusted unemployment rate was 11.1% in June 2015, stable compared with May 2015, and down from 11.6% in June 2014. The EU28 unemployment rate was 9.6% in June 2015, also stable compared with May 2015 and down from 10.2% in June 2014. 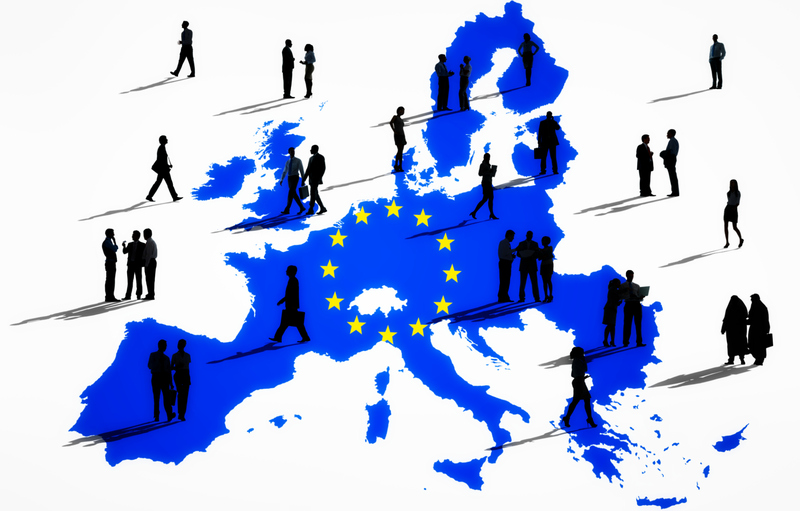 Eurostat estimates that 23.296 million men and women in the EU28, of whom 17.756 million in the euro area, were unemployed in June 2015. Compared with May 2015, the number of persons unemployed decreased by 32 000 in the EU28 and increased by 31 000 in the euro area. Compared with June 2014, unemployment fell by 1.448 million in the EU28 and by 811 000 in the euro area. Among the Member States, the lowest unemployment rates in June 2015 were recorded in Germany (4.7%) and the Czech Republic (4.9%), and the highest in Greece (25.6% in April 2015) and Spain (22.5%). Compared with a year ago, the unemployment rate in June 2015 fell in twenty-one Member States, increased in five and remained stable in both France and Cyprus. The largest decreases were registered in Lithuania (10.9% to 8.5%), Spain (24.5% to 22.5%) and Portugal (14.3% to 12.4%). The increases were registered in Belgium (8.4% to 8.6%), Romania (6.8% to 7.0%), Italy (12.4% to 12.7%), Austria (5.7% to 6.0%) and Finland (8.6% to 9.5%). In June 2015, the unemployment rate in the United States was 5.3%, down from 5.5% in May 2015 and down from 6.1% in June 2014. In June 2015, 4.724 million young persons (under 25) were unemployed in the EU28, of whom 3.181 million were in the euro area. Compared with June 2014, youth unemployment decreased by 386 000 in the EU28 and by 225 000 in the euro area. In June 2015, the youth unemployment rate was 20.7% in the EU28 and 22.5% in the euro area, compared with 22.1% and 23.6% respectively in June 2014. In June 2015, the lowest rates were observed in Germany (7.1%), Malta (10.0%), Estonia (10.1% in May 2015), Denmark and Austria (both 10.3%), and the highest in Greece (53.2% in April 2015), Spain (49.2%), Italy (44.2%) and Croatia (43.1% in the second quarter 2015).